Where is Pawn Expo 2019? Pawn Expo 2019 will be held at The Mirage Hotel and Casino in Las Vegas, NV. All convention activities will take place at the hotel. When is setup and breakdown? All booth setup must be complete by 10:45 am on Wednesday, July 10. Early breakdown is not permitted. Penalties, up to loss of booth for future year(s), will be applied to any exhibitor who breaks down early. Exhibitors are not permitted to be in the exhibit hall outside of the setup and breakdown hours, other than when the trade show is open. This will be strictly enforced for security purposes. What if I need additional time to setup or breakdown? If you require setup or breakdown time outside of the posted hours, you must make arrangements in advance with Show Management. When the trade show is open, there are no other convention events scheduled at the same time, except the exhibitor theater, which is on the trade show floor. That means that there are no events competing with the trade show, giving attendees dedicated time to visit your booths. Don’t forget that your booth must be staffed at all times and early breakdown is not permitted. Any exhibitor that breaks down and/or leaves early will be penalized. Only exhibitors are allowed to take advantage of the exclusive sponsorship opportunities for Pawn Expo. Please visit the sponsorship opportunities page for current opportunities. What are the insurance requirements for exhibitors? coverage shall be primary as respects to any insurance coverage carried by NPA or Exhibit Facility. Certificates of Insurance must be sent to NPA no later than June 1, 2019. How do I obtain the required insurance coverage? How do I obtain an attendee list? A pre-show and post-show attendee list containing mailing addresses (no email addresses or phone numbers) will be provided to exhibitors via email. The pre-show list will be sent the week following the close of early bird registration and the post-show list will be sent following Pawn Expo. Will there be security at the show? Will there be a secure room? NPA will provide general security services at all times during the trade show and throughout the night. An overnight secure room will be available to exhibitors for items such as jewelry if you wish to use it. Information about secure room hours and procedures will be emailed to you directly. If you require special security services for your booth, please refer to the order form in the Exhibitor Services Manual. Do I need to register myself and/or staff to gain access to the show floor? Yes, you must register each member of your staff who will be on the show floor prior to the show, by June 5, 2019. For each 10’ x 10’ booth, two complimentary full convention registrations will be issued. These are to be used by eligible booth personnel only. No children under 16 are permitted. Please complete the Exhibitor Badge Form on the Exhibitor Resources page at link to register staff. What if I have more staff coming? Can they register, and how much does it cost? All staff must be registered prior to the show. Exhibitors may register additional staff for the trade show only at a rate of $150 per additional staff member. If they wish to attend the Welcome and/or Closing Reception, individual tickets may be purchased. Please complete the Exhibitor Badge Form on the Exhibitor Resources page at link to register additional booth staff. What is the difference between the full convention registration and trade show only registration for my staff? Any of your staff that use the full convention registrations have access to all convention events (education sessions, networking events, trade show), unless otherwise noted as “Pawnbroker Only” events. If you are not an NPA Industry Partner member, you do not have access to any “Member Only” events. Any of your staff that is registered as trade show only have access to only the trade show and no other events. Can my staff attend the education sessions and networking events? Any of your staff that are full convention registrants may attend all convention events, unless otherwise noted as “Pawnbroker Only” events. 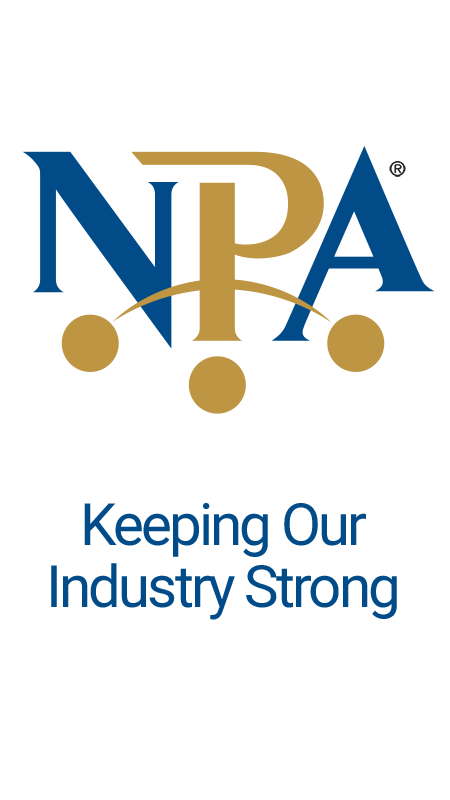 If you are not an NPA Industry Partner member, you do not have access to any “Member Only” events. Staff that is registered as trade show only may purchase individual tickets to the Welcome and Closing Receptions if they wish to attend. These are the only two events they may purchase individual tickets for. How much do hotel rooms cost, and how do I make my room reservation? NPA Room Rate – $130.00 per night, plus $27.00 resort fee per night. The rate is available until Thursday, June 13, 2019, but may sell out earlier. Reservations may be made online or by calling in. The reservations phone number and the link to make hotel reservations online are at link under Hotel & Travel. Be sure to mention Pawn Expo/NPA to get the discounted rate if you call in. Please note that NPA does NOT use any housing companies for reservations. All reservations should be made directly with the hotel. Please review our Poaching Advisory under Hotel & Travel. Where do I find information about material handling, electricity, lead retrieval, and other items for my booth? Please refer to the Exhibitor Services Manual for this information. It will be emailed directly to you and will then be available at link under Exhibitor Resources. May I offer food and beverage in my booth? Yes, you may offer food and beverage in your booth. All items MUST be purchased through the hotel. Please refer to the Exhibitor Services Manual or contact us at PawnExpo@NationalPawnbrokers.org for more information. Are meals provided for my staff during trade show hours on Wednesday and Thursday? There will be a trade show reception on Wednesday, a trade show breakfast and a trade show lunch on Wednesday and Thursday. Exhibitors may participate in these events as long as their booths are staffed. Each 10’ x 10’ booth comes with an 8 foot high back drape and 36 inch side dividers. Also provided: one (1) 6 foot draped table, two (2) chairs and one (1) waste paper basket per 10’ x 10’ space.